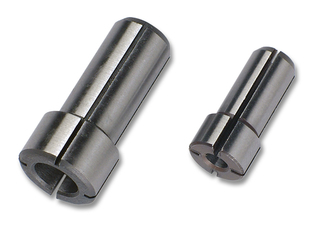 Collet chucks for DATRON high-frequency spindles. The article numbers of the collet chucks ending with "D" are only suited for 2 kW spindles. 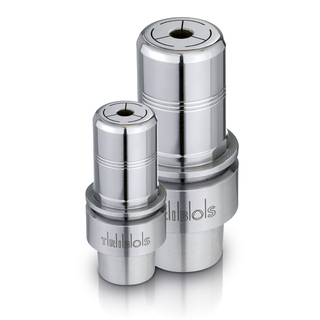 With the DATRON adapter collets you may use different tool shank diameters in one spindle collet chunk only. You need one adapter each in the automatic tool change for every tool with a different shank diameter. The adapters are pre-stressed and therefore reusable. To open the adapter collets you need the DATRON adapter insertion tool Art. No. 0068337 for 6 mm adapters or Art. No. 0068337A for 8 mm adapters. 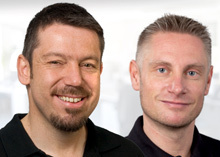 The HSK-E inserts developed by DATRON and Schunk are solidly built and come with a concentricity of < 3 μm and guarantee highest precision during the machining process. 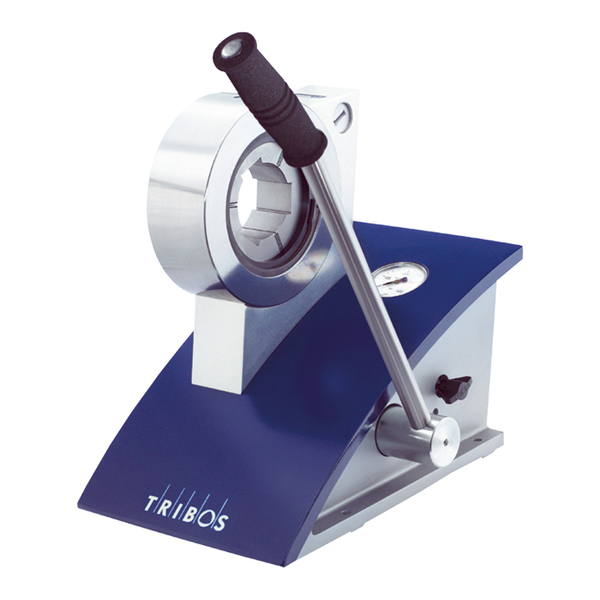 The hydraulic Tribos clamping fixture for polygon clamping technique, equipped with hand pump and manometer, does not require any source of energy and can therefore be used in a very flexible manner. Just a few steps are required for the clamping process. Clamping is completed within 20 seconds. Compared to the shrink technique, this wear-free process does not require any heating up or cooling down phases.